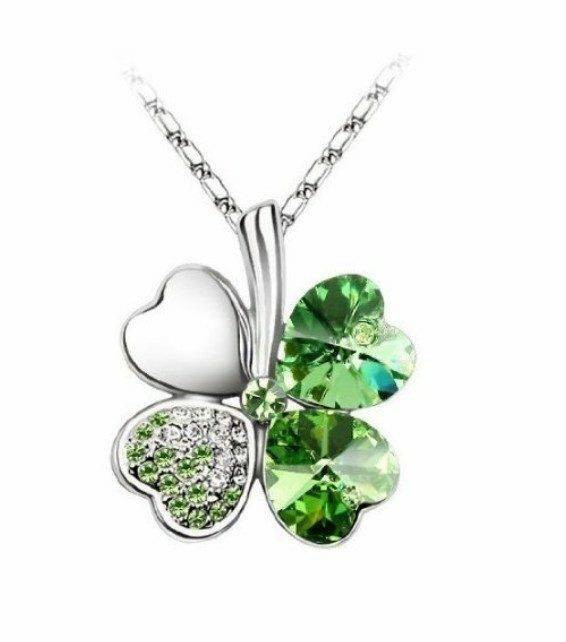 Swarovski Elements Crystal Four Leaf Clover Necklace ONLY $4.62 + FREE Shipping! You are here: Home / Great Deals / Amazon Deals / Swarovski Elements Crystal Four Leaf Clover Necklace ONLY $4.62 + FREE Shipping! This is perfect for St. Patty’s Day! Hurry and snag this gorgeous Swarovski Elements Crystal Four Leaf Clover Necklace ONLY $4.62 + FREE Shipping!